The aim of this article is of help when you contemplate your next cull, buying your next outcross, or when considering your potential breeding pairs for the next breeding season. 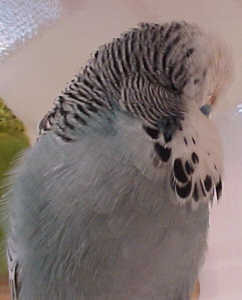 It is fair to say that genetics and some terminology associated with breeding budgies is not commonly understood nor practiced by many of us. 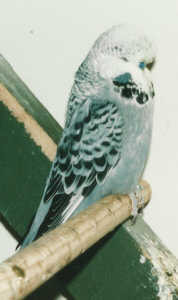 It has been said that breeding budgies is a combination of Art and Science; the Science being genetics and Art being visual. Some successful breeders achieve success by fully understanding and applying genetics while others will succeed by applying their visual skills, which can unknowingly also aid genetic stabilisation. I am convinced that only a small percentage of fanciers fully understand how genetics work. I envy those who do understand it, but have seen the proof that success can be gained without having to have the privileged knowledge of understanding genetics. There has also been confusion over the years as to the difference of In-Breeding, Line-Breeding and Closed Flock Breeding. The fact is that they are the same. It’s just that some have a more ‘Politically Correct’ name. Basically they all mean; the mating together of related specimens with a goal of achieving the desired looking stud of birds. Applying this method can produce great success in a reasonable time, and is best achieved if the birds used are of very good quality to begin with. If average stock is used then little will be gained quickly because the undesirable traits of an ‘average quality bird’ will also become more stabilised and will be harder to get rid of. For the beginner, or anyone who isn’t entirely satisfied with their progress to date, the following is worth pondering. Retain or purchase a selection of the very best birds possible, based on availability and price. Try to purchase from a known successful breeder/exhibitor or exhibitors. If you are not otherwise advised by the seller, pair up your new birds based on visual quality only and keep good records. After your second or third breeding season you should be seeing a pattern forming and should have a very good knowledge of what birds, and breeding combinations, have worked better than others. If satisfied with your efforts and if show results are noticeably better, then retain your best stock and sell the rest. 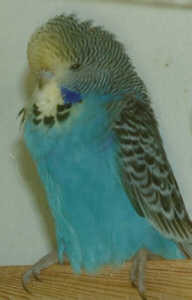 The ones you retain can now be more seriously used to establish your Line Bred stud of budgerigars. Culling hard (and wisely) is an important ‘must do’ to maintain a desired quality stud. By culling we mean sorting out for sale i.e. not to be used in your own breeding plan but may be ideal for someone else to improve their stud with. There may well be a need, or suggestion, to buy in another bird or two from time to time to improve upon your already now developing stud. This is referred to as an Out-Cross (someone’s Cull), or in other words, a bird brought in to achieve a desired effect. This can be advantageous but this same bird can also bring in a lot of other ‘hidden’ traits that you may or may not want in your stud. Choose Out-Crosses very wisely and do not buy birds just for the sake of it. 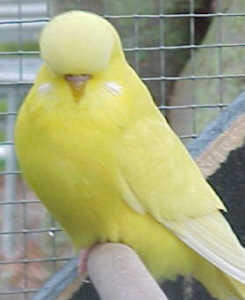 As a International hobby, we would hope that everyone’s goal is to breed birds looking like their pictorial ideal. We must also remember that some breeders do specialise in certain varieties and sometimes focus on the specific characteristics required for that variety, before considering the ideal shape and size specifications. This has its merits and in time we all hope for an all round quality bird (regardless of variety) that is in accordance with the written and pictorial standards and requirements. New Zealander Jason had his first taste of the hobby back in the 1970s, when his parents (Judy & Noel) began as novice breeders (they later gained champion status). Jason's joined the NZ BS and started breeding with a pair of Lutinos and Normal Light Greens from his parents. The birds bred well and he soon had his first bronze medal. Jason joined his parents in the 1980s to form the N & J & J Walker partnership, and they have won several NZ Grand National titles. In addition, they have now won the most Best in Show and Best Young Bird awards at annual shows in the history of NZ Federation bird shows. Jason also followed his father into judging, serving on the Senior Panel Judge Committee. He also enjoys sharing his knowledge and experience and is currently bulletin editor for the society. 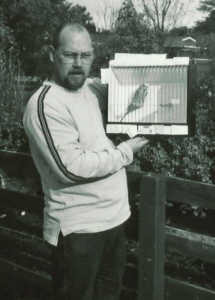 Your advice is excellent and,if I may,I will advise other bird breeders to read your article and follow the links. Thank you.